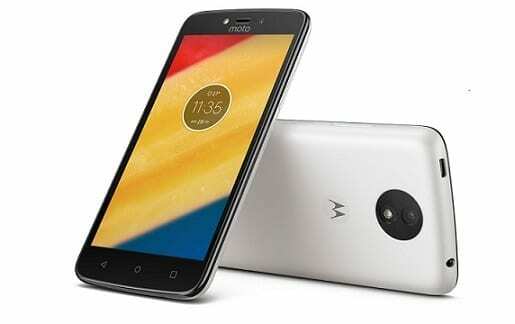 The Lenovo-owned company Motorola has finally unveiled its long-expected Moto C. The phone, which looks to compete with budget devices such as Gionee Steel 2 and Samsung Z4, features an FWVGA display and front flash. The Moto C shows off a clean design and slightly curved edges that should make for comfortable grip. However, the body doesn’t look to be made of metal like the Steel 2. The Moto C will be available in black, white, gold and cherry colours. 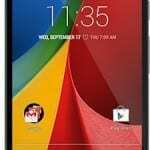 The Android phone measures 9 millimetres and 154 grams in thickness and weight respectively. For display, it packs in a 5-inch unit with a resolution of 854 x 480 pixels. A major highlight in the camera department is that you get LED flash support for the front camera. There is virtually nothing else to write home about. Well, at least we couldn’t find any other thing exciting about the Moto C.
You get a combo of 5MP rear and 2MP selfie cameras. Onboard storage is just 8 GB for the 3G model and 16 GB for the LTE variant. Moto C also supports up to 32 GB using a microSD card. Under the hood, the Moto C carries a quad-core MediaTek MT6737M with speed capped at 1.1 GHz. The CPU receives assistance from a Mali-T720 MP2 GPU and lowly 1 GB of RAM. It goes without saying that nothing awesome can be expected from this phone in terms of performance. Its maker aims it at the budget crowd after all. Interestingly, Motorola runs the Moto C off the latest Android 7.0 Nougat operating system. Juice is supplied to the device by 2,350mAh Li-Po battery. Connectivity options available in the Moto C include microUSB 2.0, Bluetooth 4.2 (A2DP and LE), and Wi-Fi 802.11 b/g/n with hotspot. And of course, the LTE variant lets you enjoy ultra-fast mobile data speeds. It appears interested buyers will be able to get the Moto C in a single-SIM or dual-SIM offering. The 4G variant will support LTE on MTN, Smile, Etisalat, NTel, and InterC. Moto C is not yet available in Nigeria, Ghana, or Kenya. It is expected to begin its global launch starting at a price of €89 and €119 for the 4G variant. We currently have no data on pricing and availability for Nigeria, Ghana, or Kenya. When available, Moto C Price in Nigeria is expected to range from 35,500 Naira to 55,000 Naira at launch.